Sea Life Sydney Aquarium provides an outstanding venue for you to learn about Australia's marine ecosystems and the creatures inhabiting them. 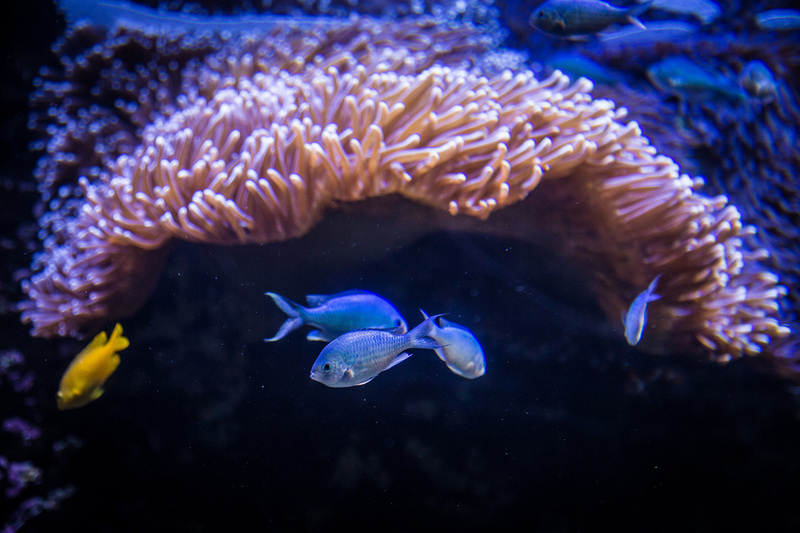 The aquarium holds more than 650 species and 6,000 individual fish coming from various Australian waters. 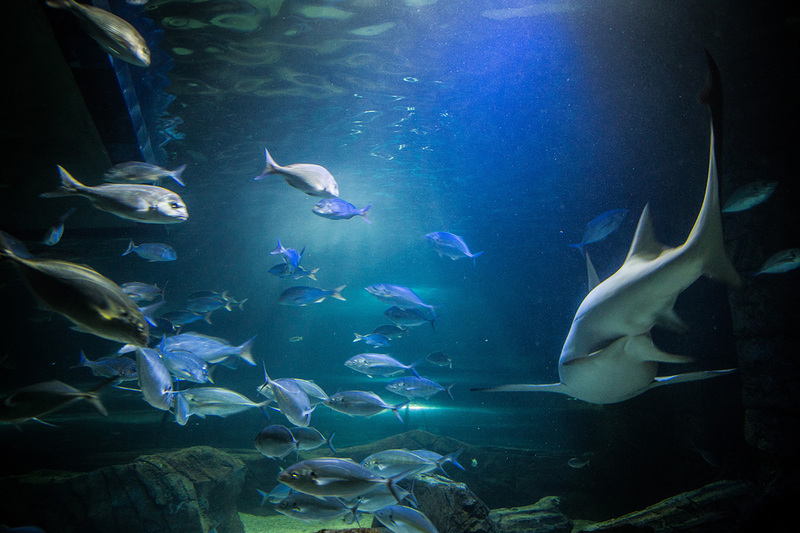 At the Great Barrier Reef Oceanarium, peer through acrylic-glass tunnels to see sharks and colorful tropical fish swimming through coral reefs. 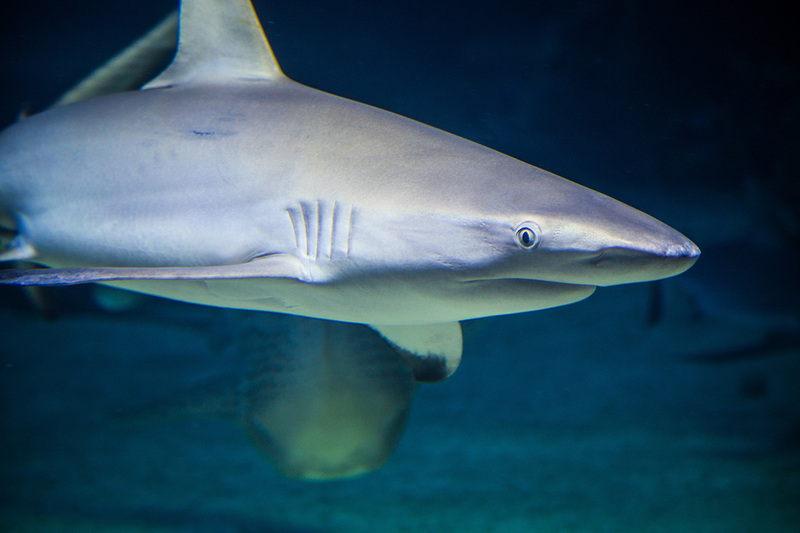 In the Open Ocean Oceanarium, gaze at sharks over 3 m (10 ft) long and weighing up to 300 kg (660 lb). River exhibits introduce you to the marine life, including crocodiles, inhabiting Australia's waterways, and you can watch penguins in the Southern Ocean exhibit area. Using our online itinerary creator, Sydney attractions like Sea Life Sydney Aquarium can form part of a personalized travel itinerary. The aquarium was great, the kids loved it. The free penguin boat ride was worth the 10 minute wait. Cafe had a good choice of food and ice-cream and you can also sit to eat your own packed lunch. The only downside was that it was a really hot day and the aquarium was uncomfortably hot inside which made us rush through some parts to find a cooler spot. It is like walking in to a zoo. Too many visitors allowed in for more money for the establishment. It is too crowded, you are always collide with other visitors. Air conditioning is not enough for the crowd. It is steaming hot inside you could hardly breathe. The ambiance is not conductive to entertainments and education. There is now crowd control. They should limit number of visitors by timed ticketing. You do not learn anything with too much noise and crowd. I do not recommend this place for visit especially when you have only limited time to be in Sydney. You have better off spending your time and money elsewhere? I hope that you heed my advice so you will not regret that I have told you so. Some great more recent upgrades have made it more interesting and a more fun place to visit. Gets crowded on holidays and weekends but Australia Day, though full, was not manic. Very knowledgeable speakers for the animal/sea life talks. Dugong speaker (today 2:30) was a real winner in my opinion! Don't go! It's very small, hot inside, nothing to see, crowded endless dark corridors, it's not worth the money! Thanks for your response, really appreciate it! I was comparing Sydney aquarium to Shanghai aquarium which I visited month ago before travelling to Sydney. Shanghai aquarium ticket is much much cheaper, but there are so much to see! Impressive design, amazing entertainments for visitors, mind blowing light effects and more, not to mention hundreds different sea species can be seen there. I spent there five hours and it wasn't enough! Sydney aquarium needs a lot of improvement. That money they charge visitors could definitely make it possible. Every day, we help thousands of travelers plan great vacations. Here are some tips on how to use your Listing Page to attract more travelers to your business - Sea Life Sydney Aquarium. Promote your permanent link - https://www.inspirock.com/australia/sydney/sea-life-sydney-aquarium-a69761783 - on your website, your blog, and social media. When a traveler builds a plan from this page, the itinerary automatically includes Sea Life Sydney Aquarium. This is a great way for travelers looking for a great vacation in your city or country to also experience Sea Life Sydney Aquarium. Promoting your link also lets your audience know that you are featured on a rapidly growing travel site. In addition, the more this page is used, the more we will promote Sea Life Sydney Aquarium to other Inspirock users. For best results, use the customized Trip Planning Widget for Sea Life Sydney Aquarium on your website. It has all the advantages mentioned above, plus users to your site can conveniently access it directly on your site. Visitors to your site will appreciate you offering them help with planning their vacation. Setting this up takes just a few minutes - Click here for instructions.